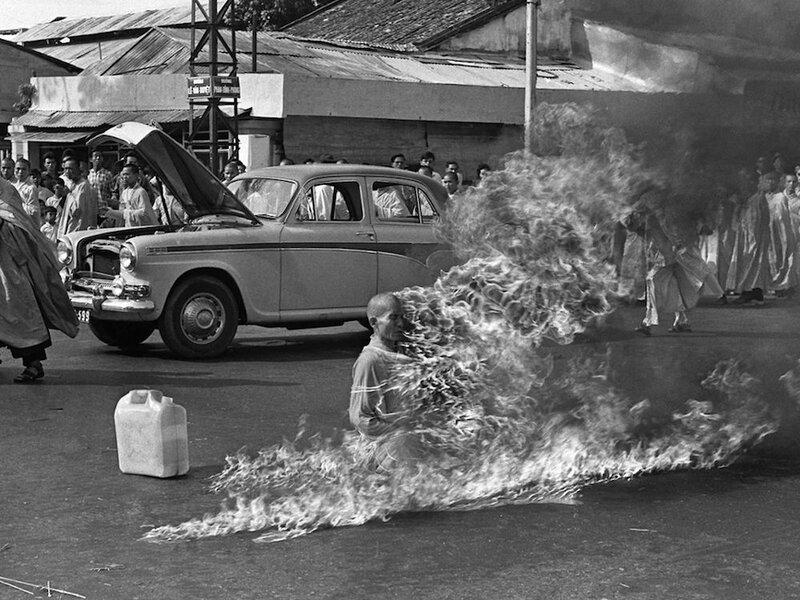 Do you see in color? Of course you do. You’re a human being. 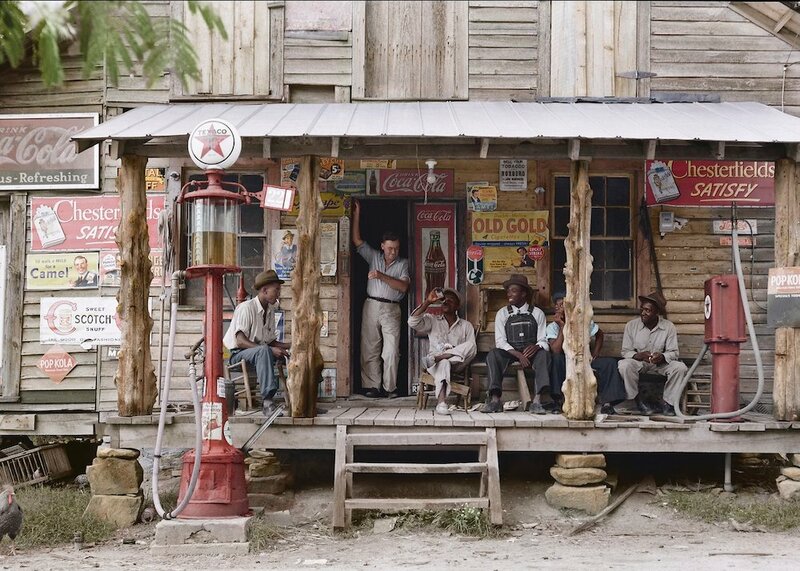 But reactions to color are not universal. Context matters. We associate mood and memories with color, a rainbow of meaning and symbolism in green, red, yellow and blue. In visual perception a color is almost never seen as it really is — as it physically is. This fact makes color the most relative medium in art. In order to use color effectively it is necessary to recognize that color deceives continually. To this end, the beginning is not a study of color systems. In the gallery below we can see black-and-white images given a make-over, bathed in the shifting light and dark to give us a new view on the old. 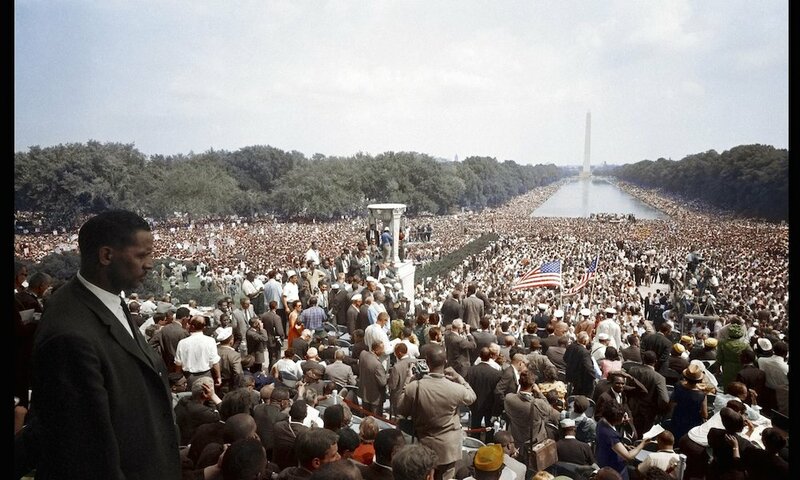 Are the pictures improved by colorization? No. I think not. The original remains the authentic image, soaked in a discerning luminosity or simple starkness the best black-and-white pictures possess. What we get is an alternative, often captivating and nuanced. 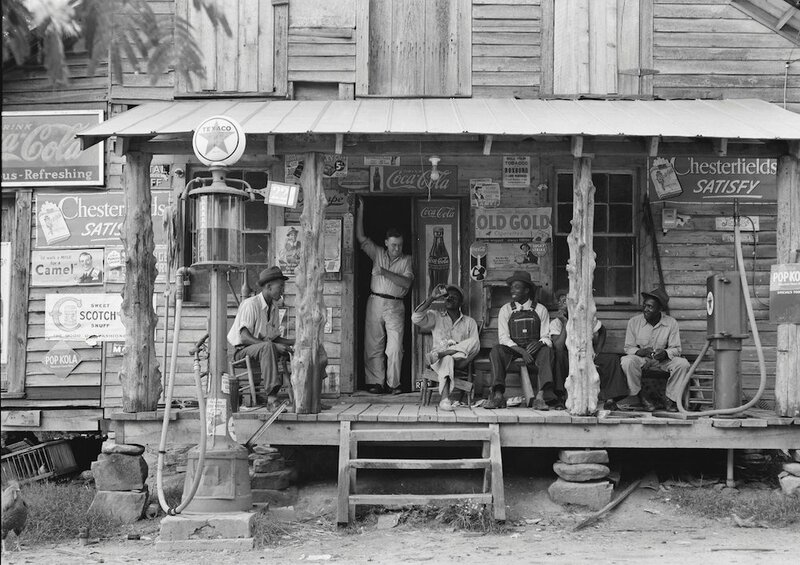 A portrait from Dorothea Lange’s documentation of the Great Depression. 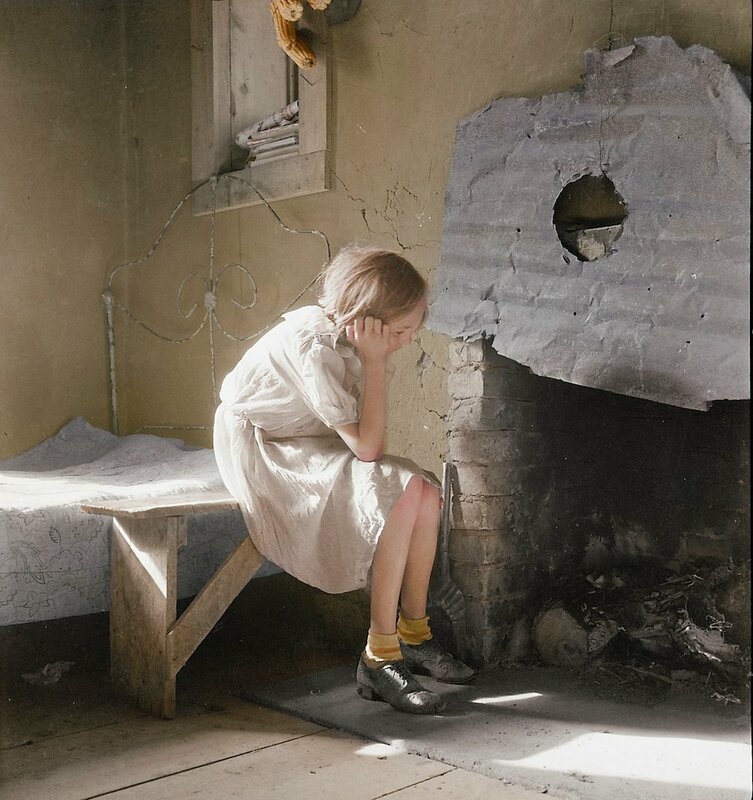 Pictured is a resettled farm child from Taos Junction to the Bosque Farms project – a piece of land acquired by the Federal Resettlement Administration that year to house Dust Bowl refugees. 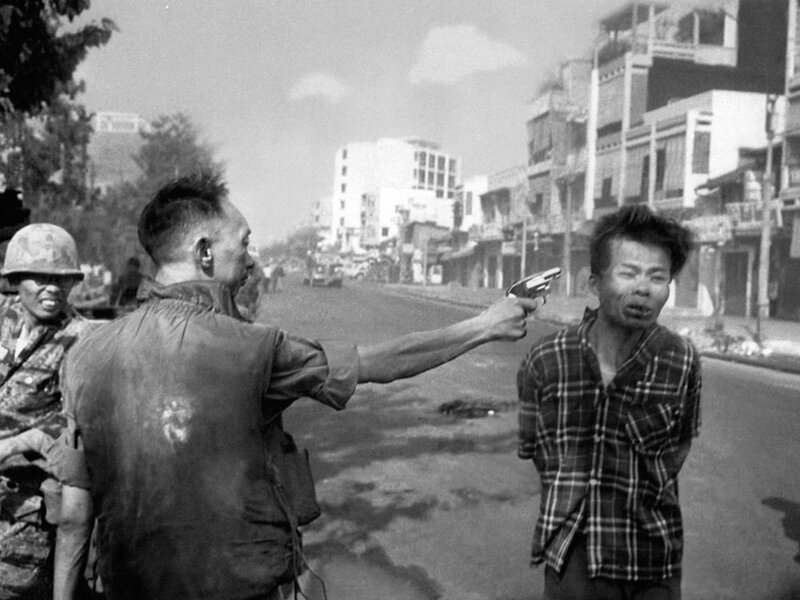 South Vietnamese National Police Chief Brigadier General Nguyen Ngoc Loan executes a Viet Cong officer with a single pistol shot in the head in Saigon, Vietnam on 1 February, 1968. 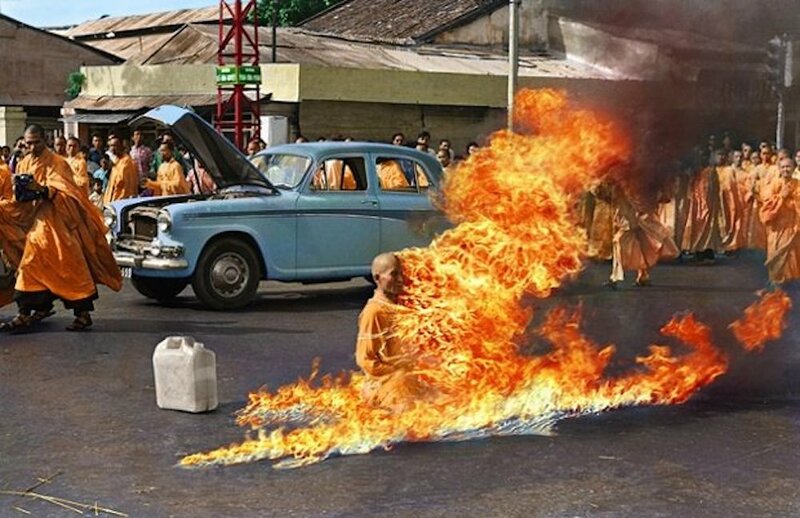 Quang Duc, a Buddhist monk, burns himself to death on a Saigon street, June 11 1963. 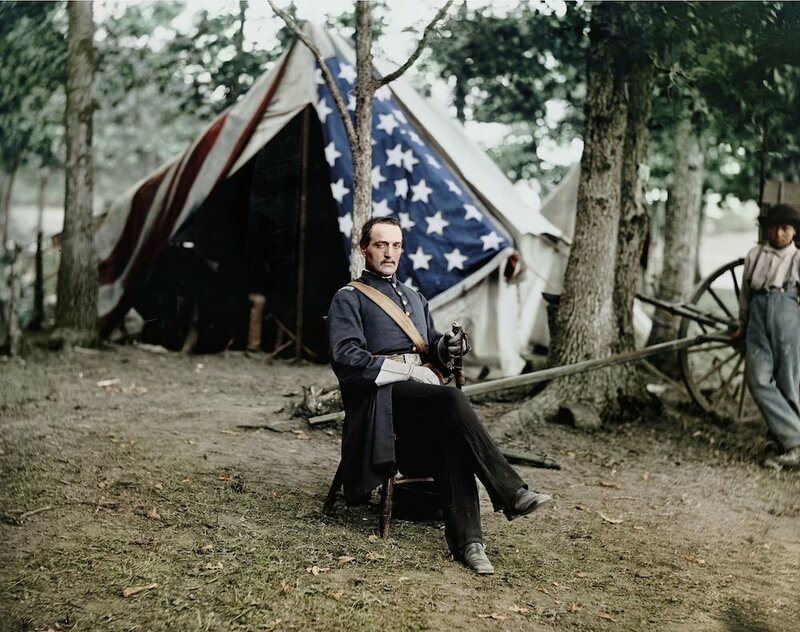 American Civil War: Union Captain Cunningham, 1863. 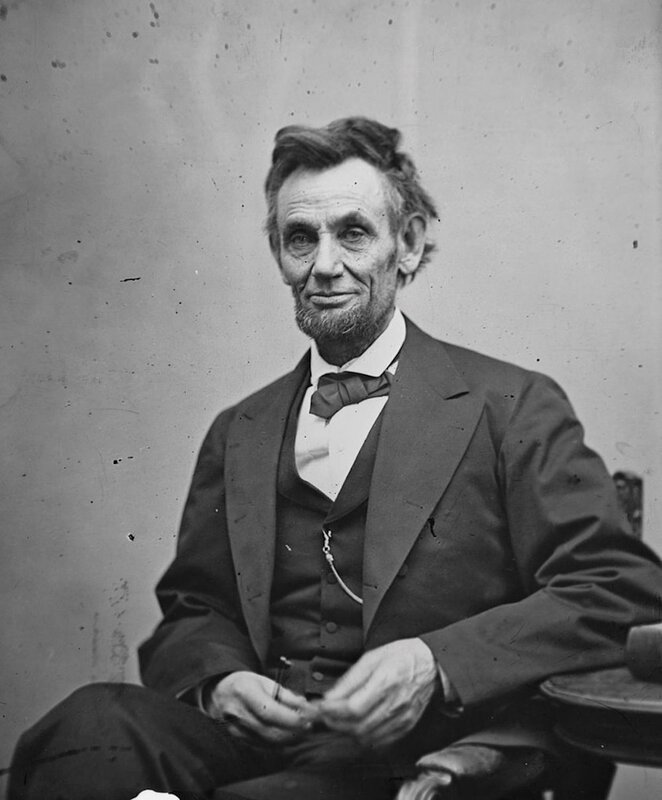 Photograph: Library of Congress. 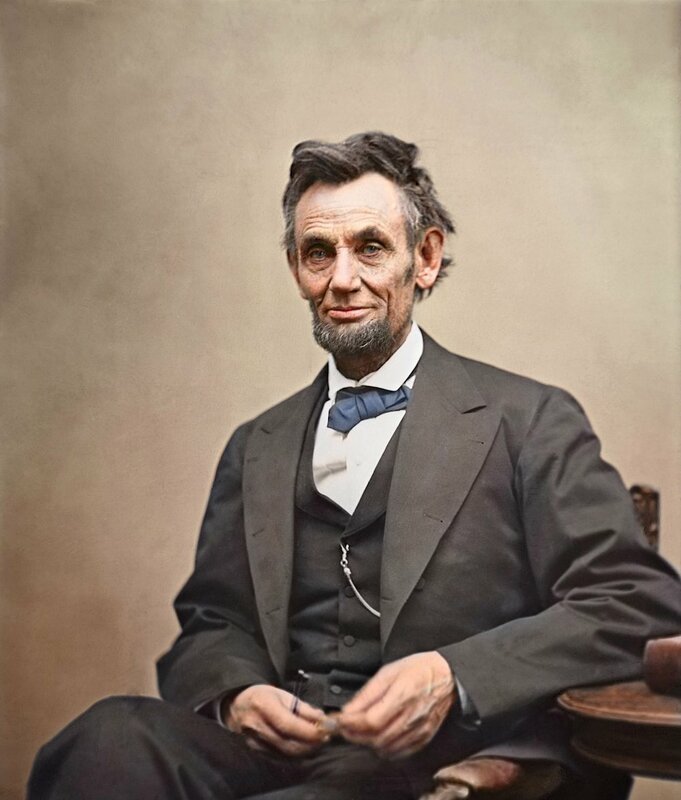 Abraham Lincoln circa 1863. 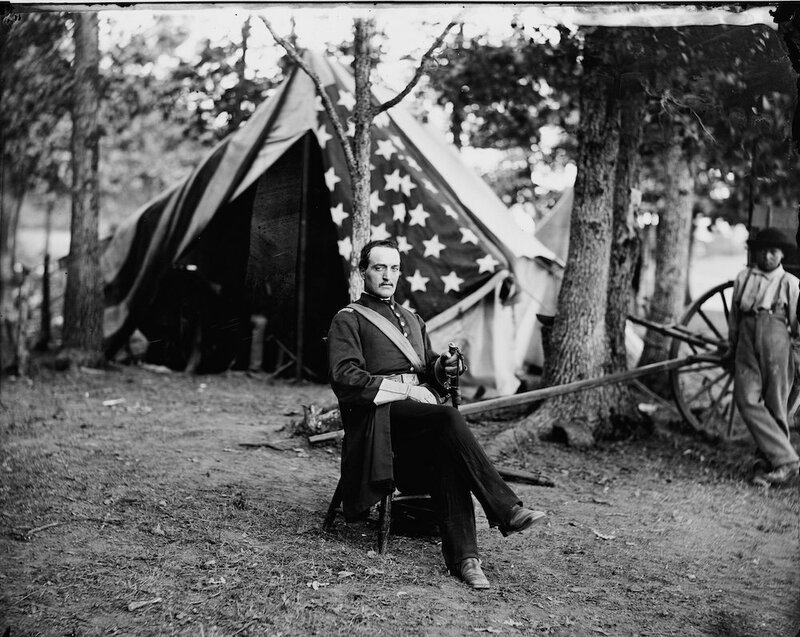 Photograph: Library of Congress. 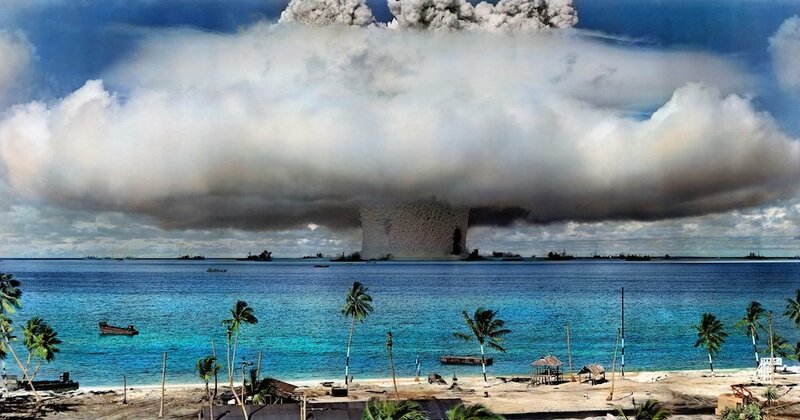 A nuclear weapon test by the United States military at Bikini Atoll, Marshall Islands, on 25 July 1946. Photograph: Library Of Congress. 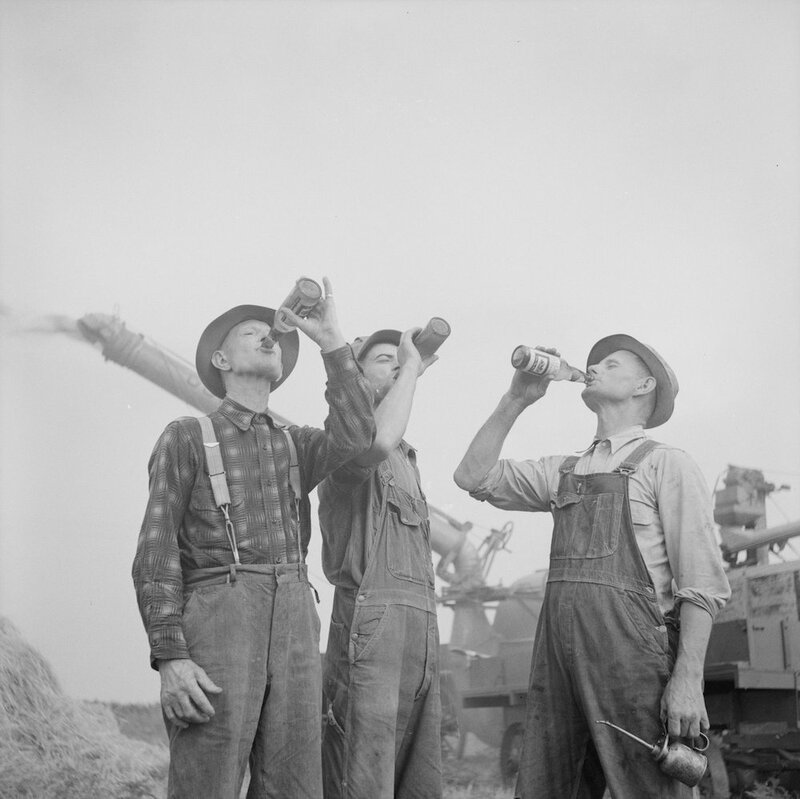 Three farmers swig bottles of Old Milwaukee lager, 1941 Photograph: Arthur Siegel/Library of Congress.